A hybrid of nutrition and pharmaceuticals, nutraceuticals require unique and compelling packaging to meet consumer expectations. Effective packaging for nutraceuticals must enhance product credibility, send a message of wellness and deliver on perceived value. From nutri-cosmetics to dietary supplements and functional food and beverage, we can help create packaging that will differentiate your products and stand out above the rest. At JohnsByrne, we understand the unique needs of the nutraceutical market. With over 50 years of high impact print and packaging experience, our team of designers can successfully turn your, supplement, nutri-cosmetic or functional food packaging vision into a profitable product. 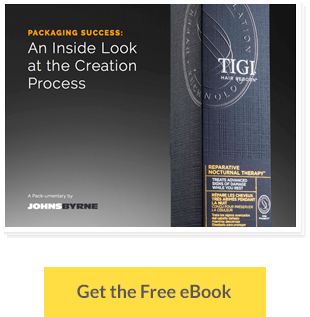 Whether you are trying to convey efficacy, build credibility, achieve high-end look, or create an approachable healthy packaging, JohnsByrne offers a wide array of print and finishing effects to transform your packaging from ordinary to remarkable. allows us to formulate a packaging that drives sales and helps you accelerate your product to market. Whether you are launching a new line of high-end dietary supplements, nutri-cosmetics or a functional food or beverage product, we will press the limits on innovation to make your product shine. Finding a trusted and experienced supplier for your packaging needs is key to the success of your product launch and ongoing marketing and sales goals. At JohnsByrne, our team of printing and packaging specialists will guide you to a packaging design that is well engineered and establishes your product in the market. By pressing the limits on innovation and print technology, we can bring to life even your most creative packaging ideas.